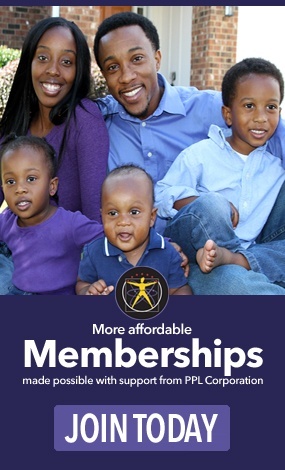 Drop into spring with our annual Eggcellent Adventures weekend! 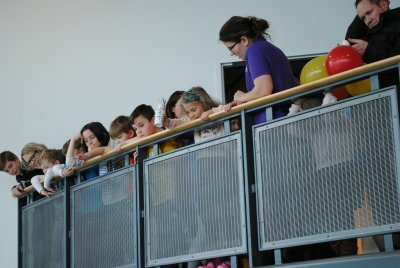 Try the Egg Drop Challenge, see live baby chicks, meet bunnies, and more! Join us on Friday, April 19, Saturday, April 20, and Monday, April 22 from 10 a.m.- 4:30 p.m.
Can you protect your egg using random items? Employ various engineering and design tactics to protect your egg from cracking when it’s released from the Café’s 19-foot-high balcony. 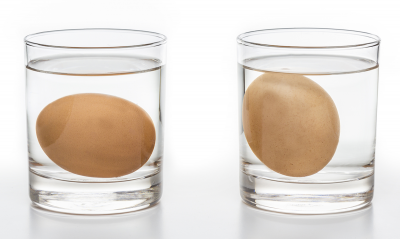 Find the perfect balance to make an egg neither sink nor float—but flounder in water. 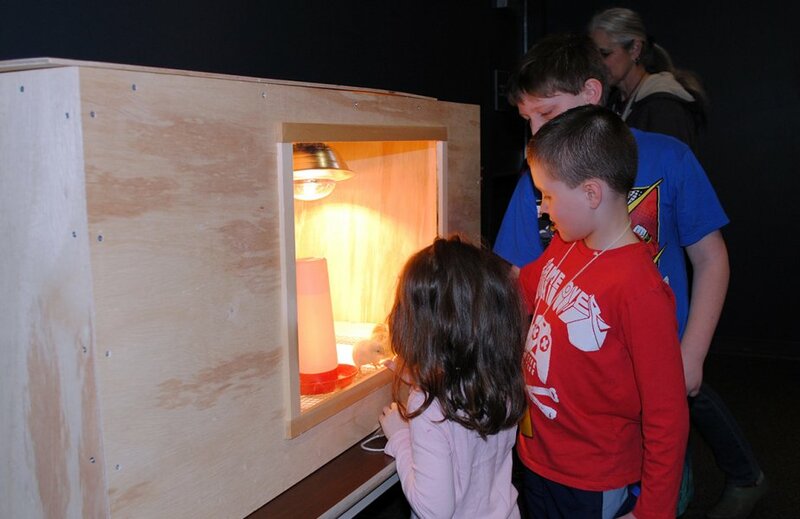 Witness the hatching process for baby chicks on Friday, Saturday, and Monday! Chicks spend 21 days in an incubator set to 100 degrees F prior to hatching. One hour after they hatch, we will move them into our “heated by lamp” brooder box to live. 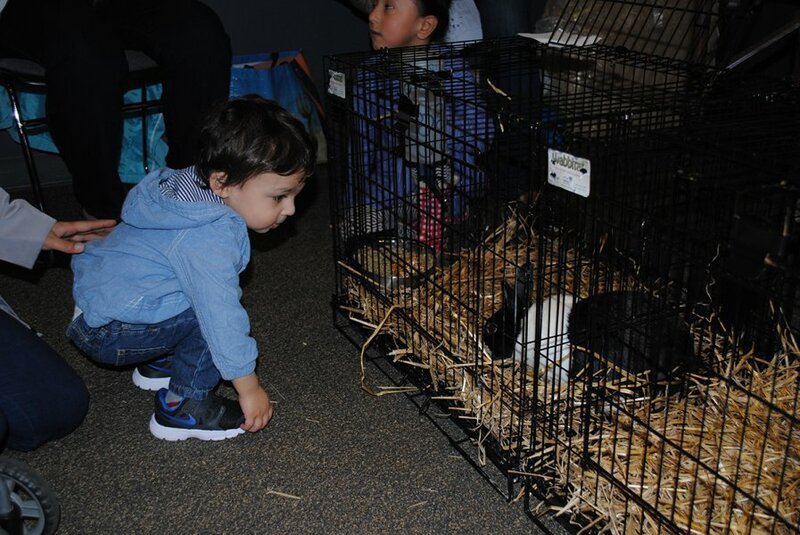 Visit with bunnies from Emily’s Barnyard! Emily, a 9-year-old girl with a love for animals, raises bunnies in cooperation with 4-H. Come meet her furry friends!